I've been in culinary school the last two weeks and the amount of knowledge which I have absorbed is exponential. I thought that I had a solid understanding of whole foods and vegan cooking but, as I eagerly discovered, there are infinite things to better understand and discover. One of the foundations that I have learned is the basic principle behind beans. From a nutritional standpoint, soaking beans increases the legume's digestibility for some individuals and affords the consumer total control over sodium content, quality, and quantity of spices which flavor or preserve the beans. Don't get me wrong - I have always been a boxed or BPA-free can bean sort of girl. The ease and simplicity is undeniable as well as the last minute convenience of cracking open a can of cooked beans. Yet, once you cross over to prepping beans yourself, the difference is insurmountable. Prepping beans for a soup, dip, side dish, or salad is very easy, but requires foresight and preparation. Beans need to be soaked overnight or for 8 hours. Following soaking, they need to be rinsed and then cooked in water or stock with your seasoning preference. Bay leaves, peppercorns, kombu, garlic, onions, and rosemary are lovely aromatics - the possibilities are infinite. This soup is based on one of the classic soup recipes that I learned at the Natural Gourmet Institute, as well as a take on a traditional white bean and escarole soup. Due to seasonality and what I typically have in my pantry, I created a version featuring hearty chickpeas and fall favorite kale. In a large pot, place beans with 4 cups of the stock, bay leaf, rosemary, and a pinch of salt and bring to a boil. Reduce heat and simmer with the pot partially covered until beans are tender to the bite, 50 to 60 minutes. While the beans cook, boil a pot of water. To concassé the tomatoes, make an X with a knife on one end of each of the plum tomatoes. Prep an ice bath nearby. Submerge the tomatoes into the boiling water for 30 seconds, remove and place in ice bath. Peel tomato skin, slice in half, and scrap out the seeds. Roughly chop tomatoes and set aside. In a medium sized sauté pan, heat 2 tbsps olive oil. Add onion and sweat until translucent, about 5 minutes. Add garlic, celery, carrots, and fennel. Cook until vegetables are just tender, 5 minutes more. Add tomatoes and continue to cook for another 5 minutes. Transfer vegetables to a bowl. Add white wine to sauté pan and heat over medium low heat, scraping any brown bits that remain in the pan to deglaze. Add the liquid to bowl with vegetables. Once the beans are tender, add the vegetables and the remaining 5 cups stock to the pot. Bring to a boil, reduce heat to medium, simmer covered for 15 minutes. Season with salt and black pepper, taste, and adjust seasoning if needed. Serve in bowls garnished with fresh parsley and a hearty sprinkling of parm. *This soup will keep for 5 days or freeze and enjoy on a cold winter night. If planning to enjoy for a few nights or freeze, add the kale when serving to avoid soggy and overcooked greens. 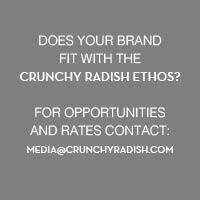 In celebration of the educational and enlightening experience that I had at Natural Gourmet Institute, the school is offering an amazing promo for crunchy radish readers! Use code crunchy15 for 15% off any class or intensive through the end of 2015.